Special Edition took place on October 16 2001, just two weeks before the release of MJ's studio album Invincible. Simultaneously, Special Editions of Off The Wall, Thriller and Bad were also released. For the occasion, Dangerous was digitally remastered and included a slipcase and a brand new 24-page colorful booklet with revised artwork and previously-unseen photos. The new edition managed to reach #108 in the UK charts. Because of the constraints of Dangerous' running time, previously unreleased songs were not included. 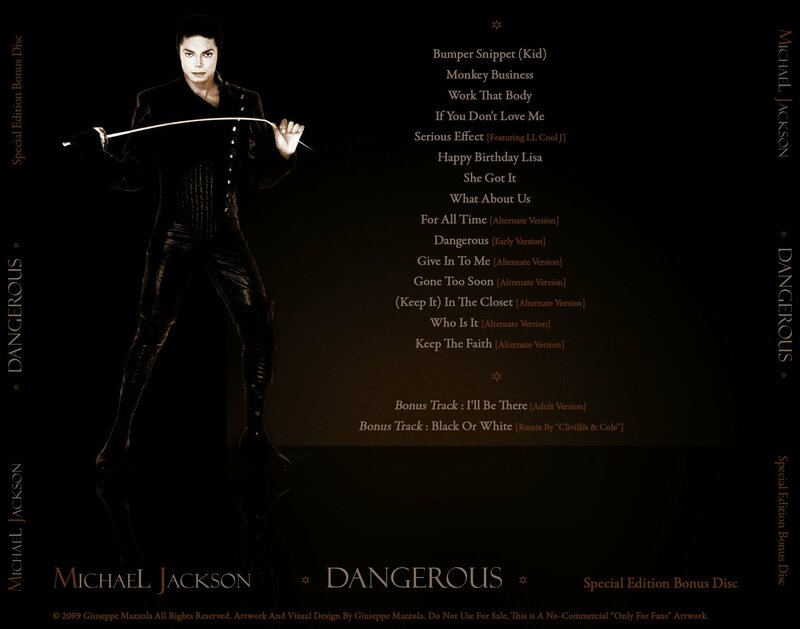 Originally, Dangerous: Special Edition was to be released as a double disc release, the 1st disc featuring the original 14 track album, the 2nd filled with unreleased tracks. This project was cancelled by Sony at the last moment. In 2004, some of previously unreleased tracks were officially released on The Ultimate Collection. Dangerous - Unreleased Bonus Disc 0 out of 5 based on 0 ratings. 0 user reviews.